The beautiful Boy, just disentangled from the ravenous bloody Monster, which had tore away one of his Legs, cries for that Assistance, which every one of the honest Tars hurries to give without Loss of Time. 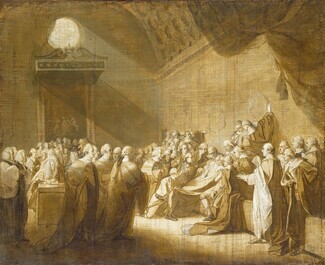 “Royal Academy Exhibition,” Saint James’s Chronicle; or British Evening-Post (April 25–28, 1778): 4. 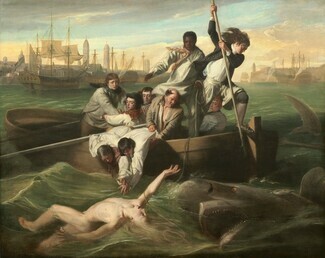 John Singleton Copley’s dramatic rendering of a shark attacking 14-year-old Brook Watson caused a sensation when it was exhibited at London’s Royal Academy in 1778. 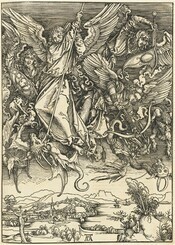 The pictured attack had occurred some 30 years earlier. Watson, an orphan, had unwisely decided to take a dip from a skiff while the ship on which he was crewing docked in Havana Harbor. A shark attacked him, biting his right leg and pulling him under. The boy surfaced briefly before the shark dragged him under a second time, severing his right foot. By the time Watson surfaced again, his mates had nearly reached him. Copley depicts the boy’s climactic rescue: just as the shark zeroed in for its third strike, a determined crewmate armed with a boat hook drove it away. Copley, an American artist who moved to London amid the tensions of the Revolutionary War, here takes the pictorial representation of terror to new heights. The injured Watson’s deathly pale body rises from the depths, naked and vulnerable, with blood swirling around his leg. As the huge shark’s gaping jaws close in, Watson looks back in shock and grasps futilely for the lifeline cast by a West African crewman, whose prominent position in the picture and sympathetic rendering were extraordinary for the time. Two shipmates stretch desperately to reach the boy flailing in the turbulent waters. The faces of the wind-whipped crewmen—derived from models of emotional expression developed by 18th-century French artist Charles LeBrun—convincingly register a range of responses: contempt (the harpooner); dread (the sailor at far left); compassion (the West African); and astonishment (the older sailor). The sailors' expressions are believed to have been modeled after engravings by seventeenth-century French artist Charles LeBrun, who published an influential book of facial expressions that inspired artists for the next three centuries. John Singleton Copley, Watson and the Shark (detail), 1778. 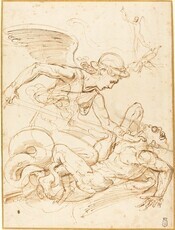 Inset images: Charles Le Brun, Dread, Astonishment, Contempt , three engravings from Conférence de M. Le Brun sur l'expression générale et particulière, Paris, E. Picard, 1698. Copley imparted a broader meaning to the scene by casting Watson’s rescue as a then-modern tale of salvation, as it was viewed by Watson, who went on to a successful business and political career and very likely commissioned the painting. 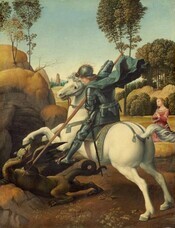 The harpooner is portrayed as a secular version of Saint Michael defeating the devil or of Saint George fighting the dragon, two legends often depicted in traditional painting. The shark here incarnates evil, its open jaws recalling the gaping mouth of hell. 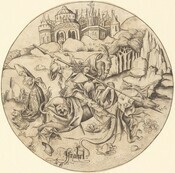 The boat, too, appears to be modeled after those in earlier representations of the New Testament’s miraculous “draught of fishes.” Such allusions to religion and art served to make a scene otherwise deemed too minor, sensationalist, and contemporary into a fitting subject for history painting. Watson eventually bequeathed the painting of his adolescent triumph over adversity to a London school for disadvantaged youth, believing it would offer moral inspiration. and the "draught of fishes"
Watson and the Shark cemented Copley’s reputation. It challenged the stringent conventions of history painting and was an important progenitor of 19th-century romanticism. 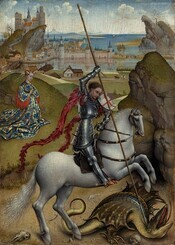 A full-scale copy that Copley made for himself is owned by the Boston Museum of Fine Arts. Boston-born John Singleton Copley was the foremost 18th-century American artist. Copley trained with his stepfather, an engraver who had emigrated from England, and by the late 1750s was well established as a portrait painter. A fastidious artist who eagerly stayed abreast of developments in English art, mostly through mezzotints, Copley soon earned wealth and fame for his sophisticated, penetrating, and accurate likenesses. When he married in 1769, he was prosperous enough to afford a 20-acre farm with three houses on Beacon Hill next to his friend John Hancock’s property. The political tensions that would soon trigger the Revolutionary War were bad for Copley’s business and his social life. He was a longtime friends of many radicals, including Hancock, Paul Revere, and Sam Adams, but his in-laws and many socially prominent clients were hard-core Loyalists. Reluctant to take sides, Copley instead took flight. He left Boston for Europe in early 1774, eager to see if his New World art met Old World standards. After studying in Italy for a year, Copley settled in England, where his family joined him, and launched his second career. Copley continued to paint portraits to support his family, but his real ambition was to undertake narrative history painting, the equivalent of painting’s heavyweight division. Watson and the Shark, Copley’s first attempt, drew favorable attention despite upending the hallowed traditions of the genre by treating a recent event—sensational no less, not moral—in a contemporary rather than classical style and form. 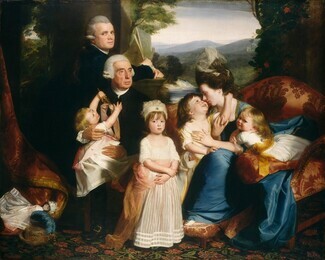 Based on this work and a portrait of his family from the year before, in 1779 Copley he won election to London’s prestigious Royal Academy. Copley saw himself as both an artist and a historian, and he continued his success with two more innovative modern history paintings: The Death of the Earl of Chatham, which combines the tropes of history painting and portraiture, and the dynamic Death of Major Peirson (1782–1784). Copley began taking on larger projects, including one huge work, The Siege of Gibraltar (1783–1791), that took years to complete and was not warmly received; his reputation suffered as a result. By the 1790s his powers had started to decline and in the new century his work was considered unfashionable. He died of a stroke, debt-ridden, in 1815.